All the Light We Cannot See by Anthony Doerr – A blind French girl and an orphaned Nazi boy anchor Anthony Doerr’s sweeping novel of German occupation. While the stories seem divided, bit by bit sections begin to fall into place as the story progresses while larger themes of loss and isolation play out through the characters’ fixations with radio waves, gemology, and shell collecting. Part historical fiction and part finely crafted tale, this book is mesmerizing from cover to cover! The Handmaid’s Tale by Margaret Atwood – This story takes place in a dystopian society in the near-future in what was once New England; women have no rights, they are not even allowed to read. The story is told from the perspective of Offred; a woman who serves as a handmaid, a bizarre function where she is placed in a high-ranking officials house in order to conceive and bear a child for his family. The story is interspersed with Offred’s memories from her previous life when the government had not yet been overthrown and offers a counter to the strict regime she currently lives under. That brief plot summary might sound…strange…but the book was fascinating and I sped through it in days! The Nightingale by Kristin Hannah – Another WWII era book that’s waiting on my shelf; this book revolves around two sisters during WWII and I’ve heard great things about it. Victoria by Daisy Goodwin – The novel that the new PBS series Victoria is based on; the show is fascinating, so I’m sure the book won’t disappoint! Hitler’s Forgotten Children:A True Story of the Lebensborn Program by Ingrid von Oelhafen – I’ll admit, I’m already more than halfway through this biographical tale of a woman who discovered that she was a product of the SS horrific Lebensborn Program; which I knew nothing about until watching The Man in the High Castle. Also…who knew Matthew Crawley played crazy so well? Ha-ha! Loving – What an excellent movie! I noticed Loving had finally arrived at a theater here in town and there were only five seats left; so even with those seats being on the two front rows, I snapped a seat up! 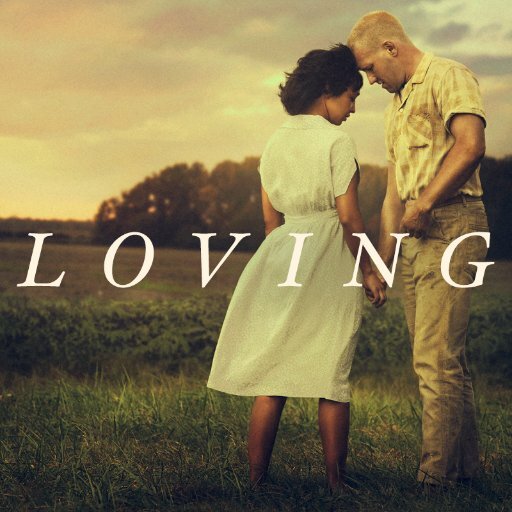 The movie tells the story of Richard and Mildred Loving; the couple at the center of the 1967 Supreme Court case Loving V. Virginia. The case is considered a landmark case; it invalidated laws prohibiting interracial marriage, and affected not just the state of Virginia but 15 other states. The story and the love between the Lovings is what makes this movie so touching and wonderful. Go see it if you get the chance! A Series of Unfortunate Events – Honestly, I was completely drawn into watching this because I love Neil Patrick Harris! I read all the books in the series about the Baudelaire orphans when I was younger and I watched the movie with Jim Carrey – which was thoroughly disappointing – but seeing that NPH was involved in this version, I decided to give it a chance. This series captures the dark comedic tone of the books so much better and I devoured all eight episodes in just four days. I loved this take, thought the casting was great…especially the casting of Patrick Warburton to narrate the tale as Lemony Snicket! Stranger Things – I finally, finally jumped on this bandwagon and wow…so much 80’s nostalgia! The story follows four friends living in Indiana in 1983; when one of the boys goes missing, the whole is turned upside down (literally) for the boys as they search for their missing friend and encounter forces much larger and more powerful than they imagined when playing board games in the basement! The kids are hands down what makes this show; the suspense and jump scares were fun and I can’t wait to see where season two will go. The Man in the High Castle – What would the United States look like if the Axis Powers won WWII? That is the storyline that The Man in the High Castle posits to it’s viewers and honestly; it’s pretty terrifying. The United States has been split between Japan and Germany; the East coast is now the Greater Nazi Reich and the West coast is the Japanese Pacific States with the neutral zone lying somewhere along the Rocky mountains. The man in the high castle is a shadowy figure that encourages the resistance by releasing videos that show how the world might be different were the Axis powers not in control. Certain parts of the show are dark (in the Greater Nazi Reich, cripples & the ill are burned on Tuesdays…) the plot and story lines are intriguing and thought provoking. I sped through the first two seasons and now I’m waiting to see what season three will have in store. Should I go ahead and admit that maybe I have too much time on my hands? Ha-ha! Edible Arrangements – FOR THE WIN! My little sister absolutely got the jump on me and surprised me with a gorgeous (and delicious) Edible Arrangement on Valentine’s Day. I cannot lie, that heart-shaped pineapple was gone within about five minutes of getting that bad boy unwrapped! The strawberries I managed to spread out over three days and they were so yummy! Game of Thrones (in Concert) – One of my awesome friends gifted me with a ticket to see Game of Thrones in concert at the Verizon Center on March 1st and I am so excited for this! The most exciting aspect of the concert is that it will be conducted by Ramin Djawadi; the composer of the music from Game of Thrones. It’s definitely something to look forward to in the extra long gap between seasons six and seven! Girls Mountain Weekend – I’ll be spending a long weekend in the Smokey Mountains with one of my lifelong best friends, Nickolee and I cannot wait! This trip has been in the works for over a year…because we had planned to do this last year, but unforeseen circumstances derailed our plans…but we prevailed and rescheduled for this year! You see; when we graduated from high school many moons ago, we went to the mountains…so we’re recreating that, ha-ha! I’m not 100% sure what we’ll do, but I know the food will be good and the company will be the best…and really, that’s enough for me! Spring – It has been unseasonably warm this past month (with some freak snow showers in the midst of it all) and I have had absolutely no problems with that! I’m really hoping that even though that pesky groundhog predicted 6 more weeks of Winter, maybe he was wrong. I’m hoping that the sun will keep shining, the trees will start to bud and Spring will arrive a little earlier than usual. Not sure when this will happen…but the Cherry Blossoms scream Spring for me! The past week was fairly calm – Monday was glorious and the weather was spectacular…and most of the week followed suit. Tuesday night my Mom joined me for a paint night at my church (Abundant Life) and we had a wonderful time painting our winter landscapes and laughing with the ladies sitting at our table. We did get plenty of giggles on the way home because during the entire painting event; even after opening with a word of prayer, one of our seatmates continued to have a mouth like a sailor! As we were painting, my Mom would cut her eyes at me with a semi-horrified expression. It was only after we were all halfway done painting and the woman mentioned I looked familiar that we discovered they did not attend church but had seen that you could come paint for just $5! Definitely not a bad deal and I suppose every form of fellowship can be used as outreach. We cracked up all the way home thinking about it and I have my finished artwork proudly displayed in my living room – because it matches so well! The unseasonably warm weather has meant we’ve had windows and doors open and my sweet pup has taken to standing at the open door and watching the world outside. I nicknamed him “neighborhood watch” because he’s being extra vigilant and making sure nothing is amiss outside our four walls. Once the deck is built, I have a feeling a certain little pup will want to spend all his time lounging in the sun and of course, keeping watch. Purchasing baseball tickets is serious business. The weekend was almost not worth “reporting” on – I did that little! Friday night I had dinner with my parents at Ruby Tuesday, helped them choose some items for a fundraising basket for an event at their church on Saturday night and in general, was just a complete bum! I watched Beauty & the Beast before finally going to bed around midnight – that movie absolutely never gets old and I cannot wait for March 17th! Saturday (don’t fall asleep reading this…) after my ritual of sleeping in and sipping coffee, I honestly couldn’t quite decide what to do with myself. Nothing seemed to be all that thrilling and so I’m ashamed to say I just puttered around for much longer than I usually do. I finally decided to do a Posh hair mask (riveting stuff, I know), do some laundry and start watching The Americans. Some absolutely crazy weather rolled in around noon, complete with booming thunder, cloud to ground lightning and hail! It only lasted about 15 minutes but Watson was having none of it and I was rushing around to get my car into the garage…it was crazy! I know – nothing too wild and crazy – but I tend to get overly excited about weather, ha-ha! Saturday night I re-watched the first two episodes of Legion; I am loving this show, but given the main character’s mind bending abilities and potential schizophrenia…the episodes warrant an extra viewing to wrap your head around! Sunday morning I enjoyed church with my friends Margaret and Meridith and then spent a lazy afternoon reading, giving my dog a bath and cleaning up/organizing around the house. I promised you that it was all so very exciting that you might doze off.. I watched a little bit of the Oscars – as I mentioned on Friday, I wasn’t 100% into it this year but I can never turn down watching the red carpet to see all the gorgeous dresses! I shared a couple of my personal faves below but I think Emma Stone was my number one of the night; she always looks so elegant and classy! I’m so glad she won Best Actress and I hate that La La Land didn’t pick up best picture – wasn’t that a crazy ending?? Another Monday come and gone – I started this in the afternoon and 9:00 is creeping up on me, so this seems like the perfect time to say adieu! Oh Friday – how I love to see this day arrive on the calendar. Also; how in the world is this the LAST Friday of February?!? Does anyone else feel like they blinked and this month is gone? Trust me – I’m looking forward to Spring just as much as the next person, but do you realize that almost two months of 2017 are already done? It’s crazy! One. Spring – Alternatively this could be labeled “blue skies” because almost every single day this week has been spectacular! Gorgeous blue skies, a smattering of little wispy clouds floating along on a gentle spring breeze and the temperature hovering around 75. IN FEBRUARY. Also…in NORTHERN VIRGINIA. According to my Timehop; this time last year it was raining and two years everything was frozen solid! Unfortunately the weather doesn’t appear to be sticking around through the weekend, so I’ll have to try to enjoy as much as I can when I get off later today! A friend from high school recently became a consultant and she sent me some samples. After trying them out, I ordered my own products and I’ve fell in love. I decided to host a party because who doesn’t love a change to get some potentially free goodies? As I mentioned above, the company is cruelty free, all the products are naturally based and have no fillers, everything is made in the USA and they even have vegan options! Four. The Oscars – I normally enjoy watching the Academy Awards each year; I love looking at all the glamorous dresses mostly, but I’m torn about watching this year. I am 100% done hearing about politics and I feel that; given how other awards shows have already panned out, this will just be another avenue for political ranting. I watch movies as an escape of sorts and while it may seem childish and/or like I’m putting my head in the sand, I’d just prefer the Oscars be about the glitz and glamour of the red carpet and the magic of the movies – and not drag the crazy political state of the world into it all. 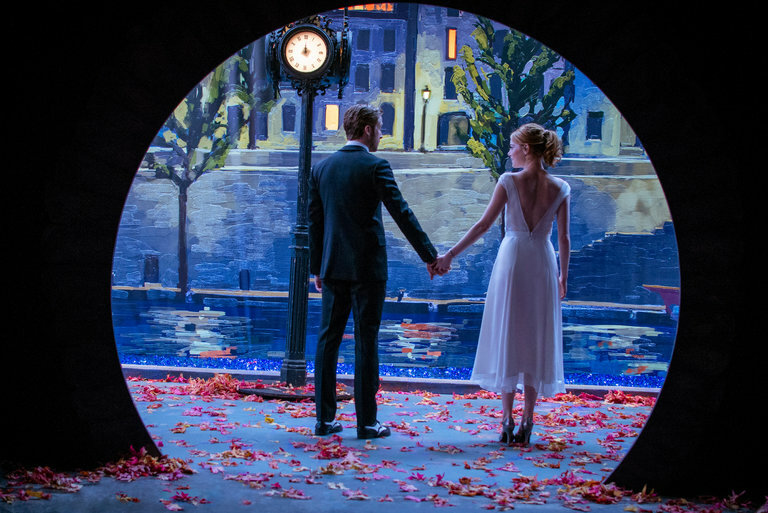 I’d also prefer for La La Land to win big because I adore that movie! I also really enjoyed Hidden Figures too! Five. Nationals Baseball – A mainstay on this weekly posting from late-February through at least October; there are only thirty-eight days until opening day and just forty-six days until my first visit to Nationals Park for the 2017 season! The Nationals are still making moves, even though Spring Training started a week ago and just this morning it was officially announced that the Nationals had signed veteran catcher Matt Wieters. Matt isn’t coming far – he was a member of the Baltimore Orioles before today – so now he’s just inside the Beltway, ha-ha! Here’s hoping the addition of Wieters will open up for some other moves…because the Nationals still need a closer…and we only have thirty-eight days! That’s all I’ve got for this edition of Five on Friday – hope everyone has a wonderful weekend! I haven’t done a recap style post in a bit and I have plenty of pictures taking up space on my phone, so I figured I’d dump them here! Valentine’s Day goodness – of the eatable variety! An Edible Arrangement from my wee sister – she completely surprised me! My sweet friend brought me a mug filled with Reese’s Peanut Butter cups! I must say – for a person that is perpetually (sadly) single on Valentine’s Day, I still somehow managed to have a pretty good V-Day this year. My sister and I jokingly refer to it as S.A.D. – Singles Awareness Day; because you’re never more aware of how single you are than on Valentine’s Day, but I digress… My sweet family surprised me with hand rolled truffles and a gift card to Stitch Fix and the work day had not one but two surprises: one of my friends in the office brought me an adorable owl mug filled with Reeses’ and in the afternoon, Edible Arrangements delivered a “bouquet” of delicious chocolate covered strawberries from my little sister! I felt awfully loved…in spite of being single! Nothing goes quite so good with an episode of Bones as food…any food, ha-ha! Taking in the Friday evening sunset. Spotting something on the horizon. The weather here has been ridiculously amazing for the past few weeks! Case in point – it’s currently 75, sunny and there’s not a cloud in the sky. It’s so gorgeous! Watson has been reveling in every minute of outdoor time that he can get – snoozing in patches of sunlight, sunning himself in the middle of the yard, enjoying a ride in the car on the most recent sunny Sunday afternoon. I wish I had a backyard for the little guy, but we are doing the best with what we’ve got and I think he’s been pretty pleased! A little love on the seat of the Wal-Mart shopping cart. When I snapped this – I most definitely thought I was capturing a yawn. Watson and I took a little Sunday afternoon drive and stopped off at one of my favorite places, Starbucks. While we waited in the drive-thru line, Watson contended himself with peeking his head out of the open window and taking in the breeze…and finally settled down in the seat and started to yawn.. I grabbed my phone, opened the camera and thought I’d capture a photo of him with his mouth wide open! I think the picture I actually captured is much better – wouldn’t you agree? Y’all know I like to cook…and I’d like to think that most of the time I do a pretty good job of things when it comes to the kitchen. I think I have posted before about triple layer brownies (initially named “slutty” brownies – but no one really needs to go around saying that, right?) and this weekend I decided to shake things up a bit when making them! One of my sweet friends came over on Saturday afternoon to catch up; she’s pregnant and had told me more than once that her sweet babe gives her “the hunger of a thousand men” and so I decided that instead of doing a pan of brownies, I’d just do muffin-style individual brownies and I’m so glad I did! That’s it! Literally three ingredients and you’ll be on your way to heaven. And possibly diabetes…but maybe don’t settle on that aspect of the recipe, alright? It really is so very easy to make these delicious treats! Spray your muffin tin well – you don’t want the cookie base to stick! Put a spoonful of cookie dough into the center of each tin and press with your fingers to fill the bottom and firm out your “crust”. Then place the treasure in the center – a Reese’s Peanut Butter egg – and cover with brownie batter. Bake the muffins according to the directions on your brownie mix and be sure to let the finished product cool for a bit – if you try to remove them from the muffin tin when they are still warm, the center of the muffin is likely to give way! It will still taste delicious, but it won’t look so great! Enjoy the finished product with a tall glass of milk and remind yourself that it can’t be too bad for you – it is; after all, only a muffin!